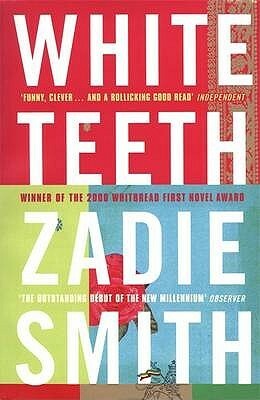 Literary Lindsey: It's Monday - Did you read any good books this week? It's Monday - Did you read any good books this week? My reading powers seem to have slowed down a bit post holidays. I only finished one book this week. I think there are some good reasons, though. Come back and visit tomorrow and I will tell you all about it! If you use social media as a part of your book blogging, would you hop over to this post and let me know what you think about using Twitter or Facebook? I am considering starting one or both in this new year and I would love to hear about your experiences. Thanks in advance. Some weeks are like that. I do have a Twitter account and a Facebook page. Twitter is the one that is more useful to me as a book blogger. Come see what I read last week here. Happy reading! People seem to find Twitter really helpful in blogging. I'm going to have to look at some bookish Twitter feeds and see what you all talk about! I accidentally bought the third in the series instead of the second, so I got the second one from the library. I hope you enjoy Jackson Brodie when you get to him! Kate Atkinson - thats' one author I'd like to read. This one is a new book for me. She is a really beloved author. I'm working through her series and she has a new stand-alone coming out this year. I hope you enjoy her books when you pick them up! 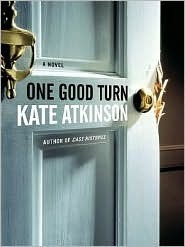 I really want to read the Kate Atkinson book! It looks really good :) Enjoy your books! Thanks for your thoughts on Twitter. I am seriously considering giving it a whirl! 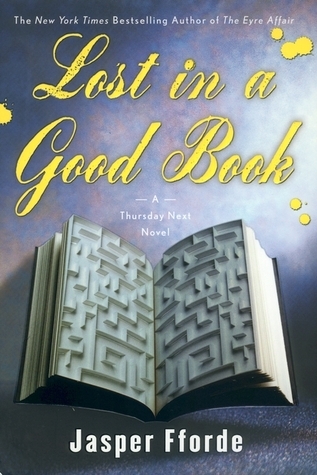 I just bought the first Thursday Next book for my Kindle, I'm looking forward to starting the series! It's so fun. I just finished the second one and had one of those beautiful rare moments where I thought about going to the library and grabbing the third one right away. I kept strong though...I had other library books already checked out!